With five national campaigns since October 2016, Pakistan is well positioned to face the challenges ahead. A child receives two drops of polio vaccine during the May vaccination campaigns in Lahore, Pakistan. WHO Pakistan/Anam Khan. At the end of May 2017, more than 38 million children under the age of 5 were vaccinated against polio in Pakistan. During the campaign, over 250,000 trained polio workers went from house to house across the length and breadth of the country to vaccinate children against the crippling disease. This was one of five country-wide vaccination campaigns that took place during the 2016/2017 “low season” for poliovirus transmission. 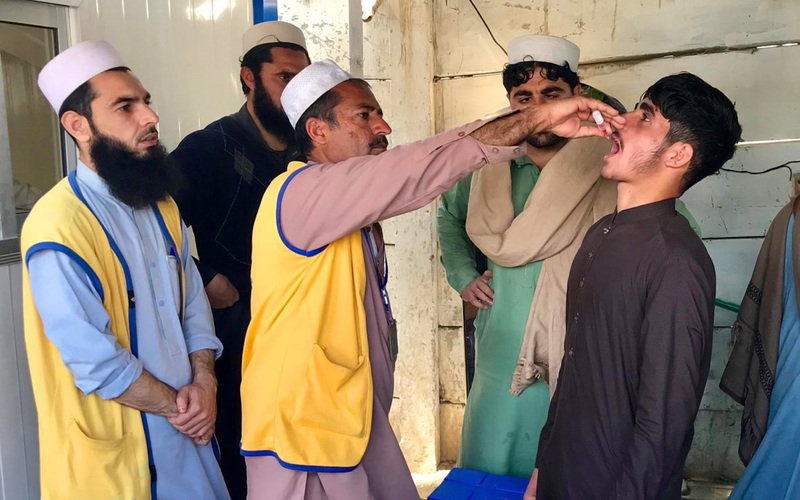 From October to May when temperatures are low in Pakistan, the virus remains less active, giving polio eradication experts the opportunity to get ahead of the virus. 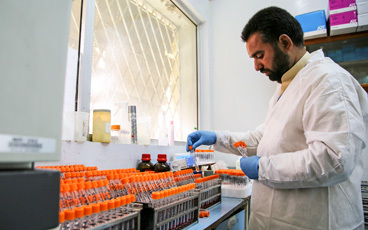 The end of the May polio campaign marked the start of the “high season” for poliovirus transmission. The ability of the poliovirus to infect children increases in high temperature and during heavy rainfall. As a result, viral circulation is expected to be higher from June to September. 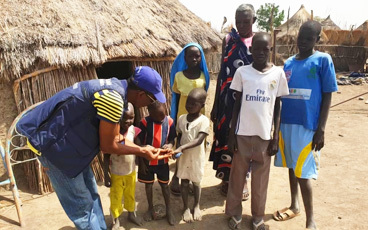 With steady gains in the proportion of children vaccinated during the 2016/2017 low season, the May campaign achieved an overall goal of vaccinating 92% of the targeted children, according to independent post-campaign monitoring. 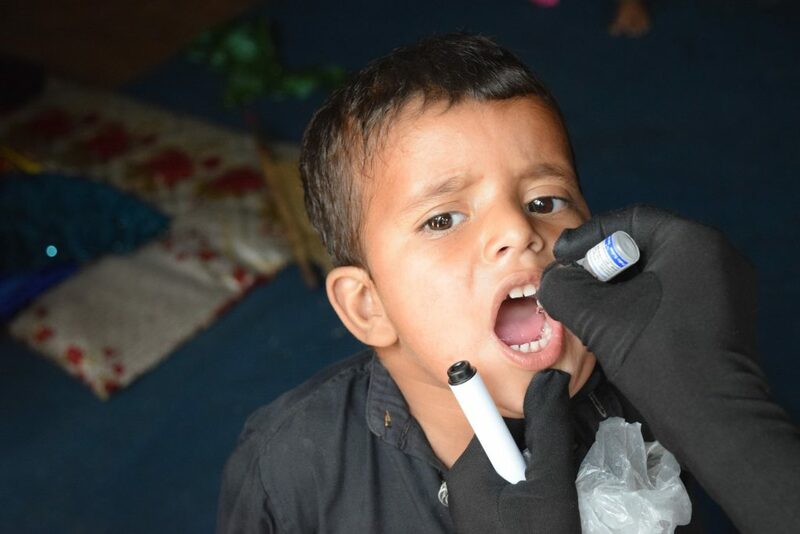 The highest vaccination coverage rates were observed in Khyber Pakhtunkhwa (KP), Sindh and the Federally Administered Tribal Areas (FATA), some of the highest risk areas of the country, with rates increasing from 84% to 95% in KP and 77% to 93% in Sindh in the last nine months. 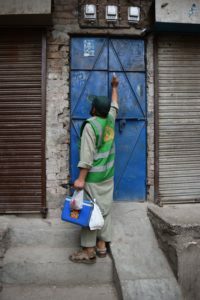 A polio vaccinator marks the door of a house to show that the children living there were not home when he called, so that they can be vaccinated by campaign monitors the next day. WHO Pakistan /Anam Khan. However, more work is needed to bring vaccination rates up to 95%, the level identified as that needed to stamp out the virus for good. FATA remains the only region consistently over 95% in the last three campaigns, with Balochistan, Islamabad, Azad Jammu, Kashmir and Gilgit Baltistan not reaching the benchmark. With the high season underway, Pakistan is well-positioned to respond to these remaining gaps and challenges. The current situation remains the best we have ever seen in the country, with the virus geographically limited. The number of cases has declined from 306 in 2014 to 53 in 2015, and to 20 in 2016. So far this year, the number of polio cases reported in Pakistan is three (compared to 13 the same time last year). However, this progress means that there is more to lose than ever before. The low season campaigns put the polio programme in a better position with which to fight the virus through the high season. While the number of new wild poliovirus cases remains record low, the environmental surveillance system indicates the virus remains a serious threat to children, with the proportion of samples being tested positive for poliovirus reaching 18 per cent as of May this year compared to 10 per cent as of May 2016. 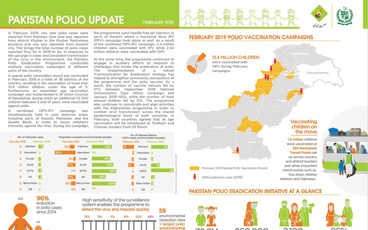 In particular, the environmental presence of the virus has increased in the Quetta block, Karachi and the twin cities of Islamabad-Rawalpindi. The programme is systematically addressing and responding to these challenges by focusing on reaching missed children and continuously improving campaign quality to remove every last hiding place of the virus. 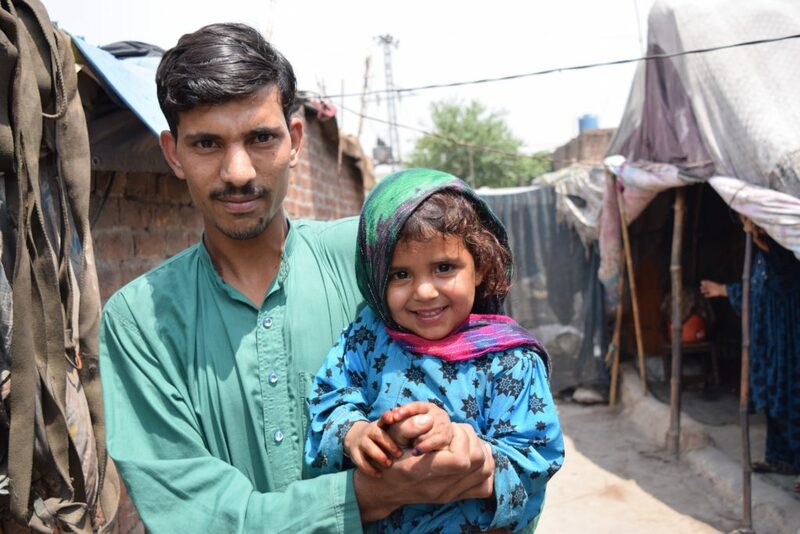 A father and daughter proudly show off the purple dot of ink on her little finger to show that she has been vaccinated against polio in the May campaign. WHO Pakistan/Anam Khan. Government leadership is fully committed to the National Emergency Action Plan (NEAP), implemented via focused Emergency Operations Centers at National and Provincial levels, with emphasis on evidence-based decision making, a one-team approach between all of the partners of the GPEI and the government, highlighting the essential role of front-line workers at the center of the polio eradication effort, effective oversight of performance management and accountability, and coordination across the common Afghanistan-Pakistan epidemiological block. 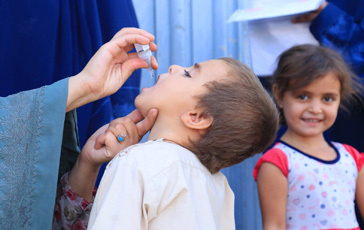 As eradication moves into the final stage, seamless cross-border coordination with Afghanistan, that has had four polio cases so far this year, becomes ever more critical to success in both countries.